Are your jeans on the boring side? Blue jeans have become so ubiquitous that they no longer add much flair to an outfit. You can make yours stand out by jazzing them up. 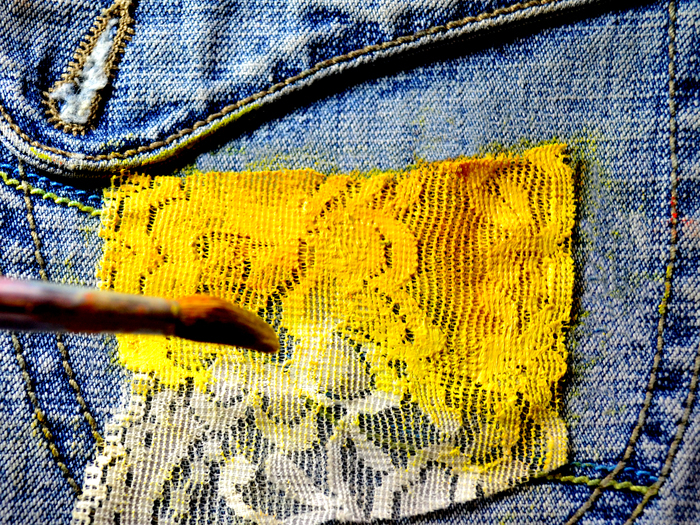 Decorating your jeans with paint, signatures or even holes will jazz up your jeans and turn heads instead of boring them to tears. 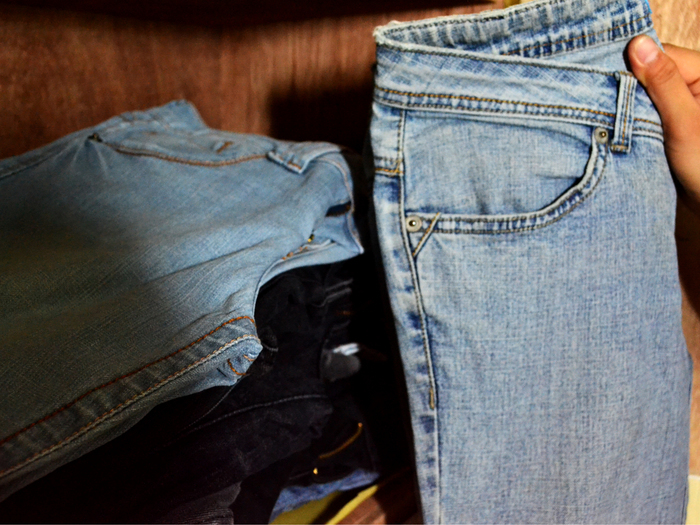 Decide upon one pair of jeans or a few pairs. 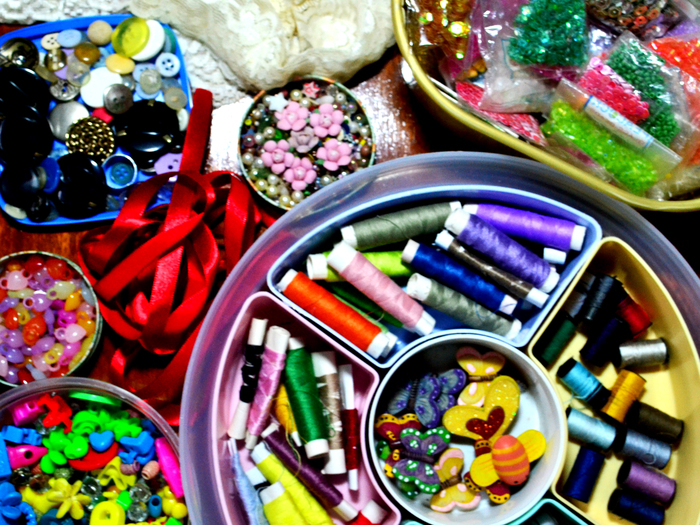 You may wish to decorate the entire fabric or just add a small adornment. Visit the craft and dollar stores. Check out the various embellishments. 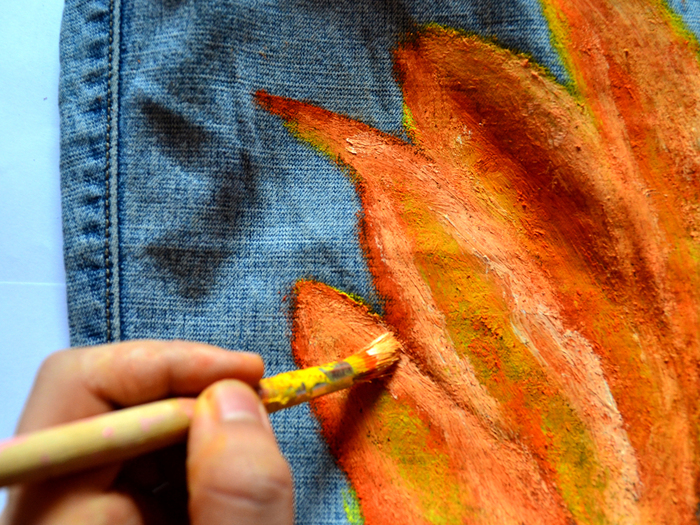 Use fabric paints or markers. Paint sayings, hearts or flowers on your jeans. 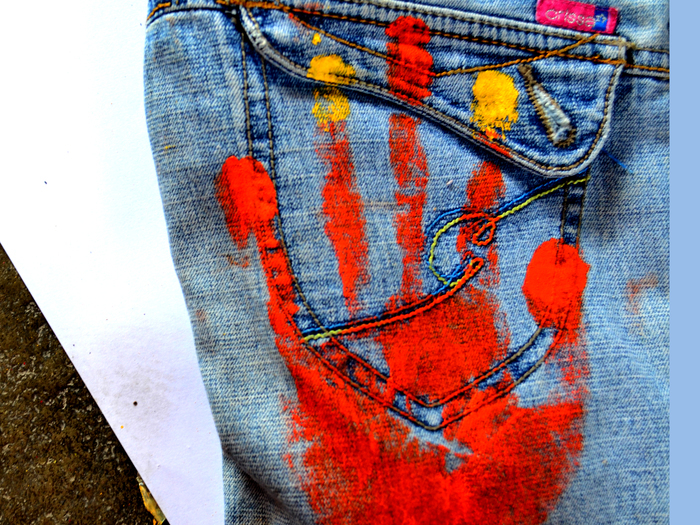 Splatter paint on your jeans. 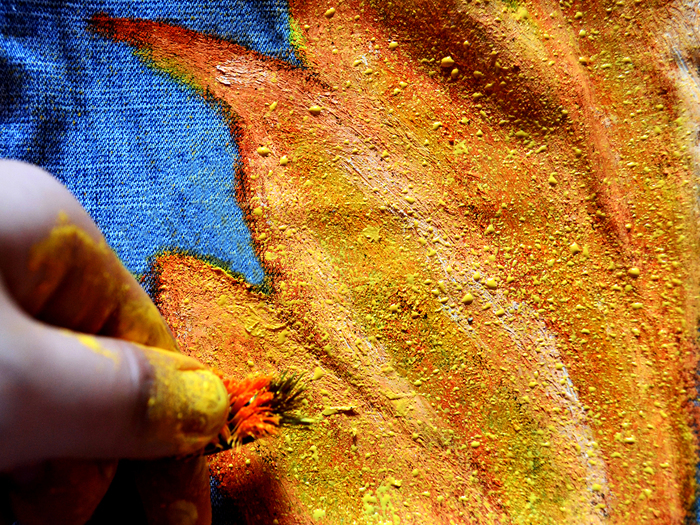 Use an old toothbrush or a child's paintbrush. 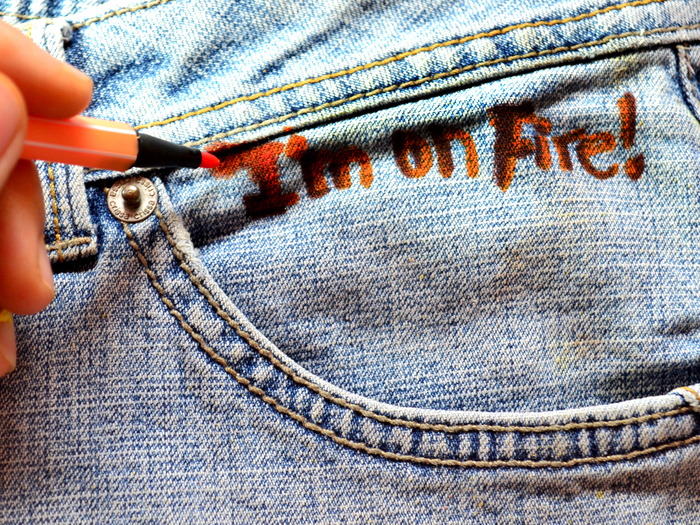 Have everyone sign your jeans. Have a paint party with your friends. 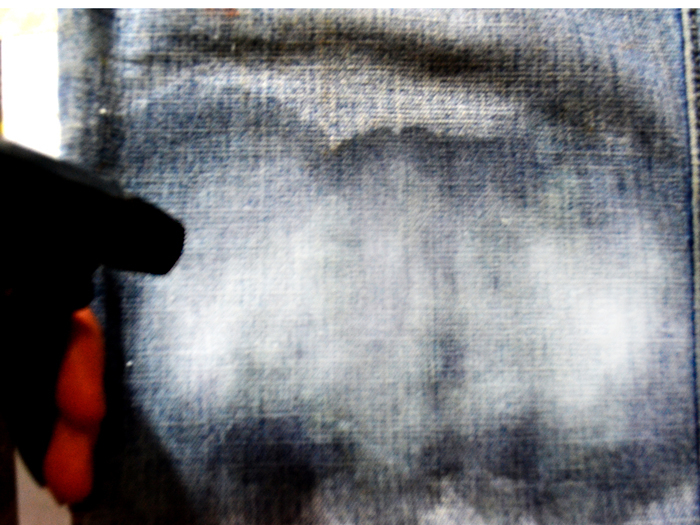 Add their hand prints to your jeans. Spray on sunscreen just below the front pockets. Use dye or slightly diluted Kool-Aid with stencils. 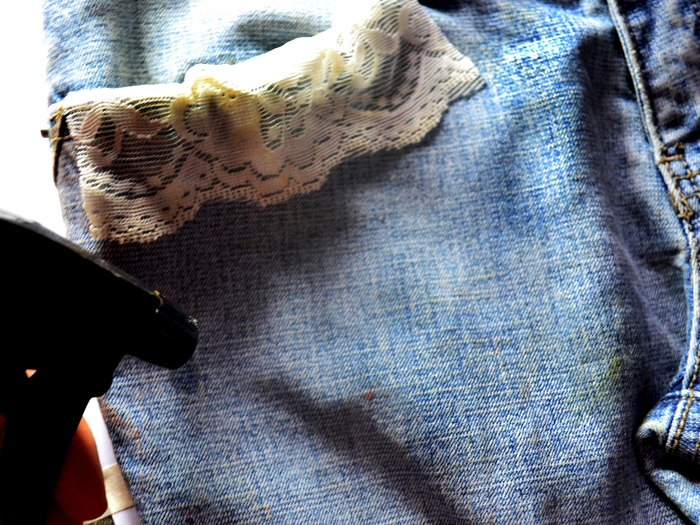 Spray on bleach. Make a mixture that's half bleach and half water. Rip holes in the fabric. 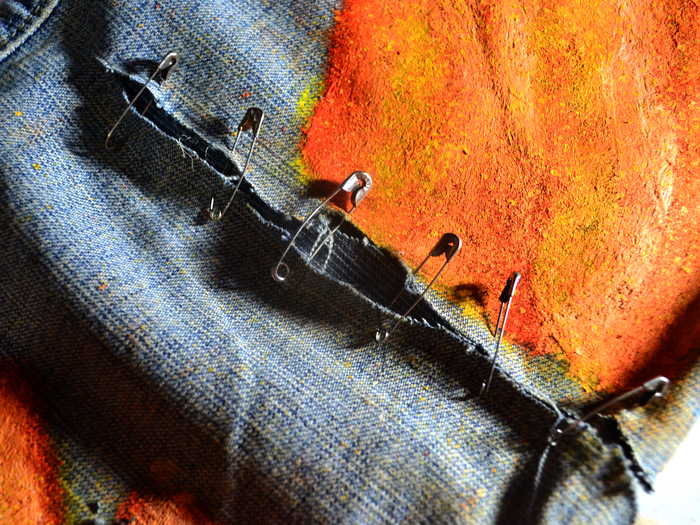 Mend the hole with a safety pin. Add random pockets and patches. Use the pockets rather than a purse. 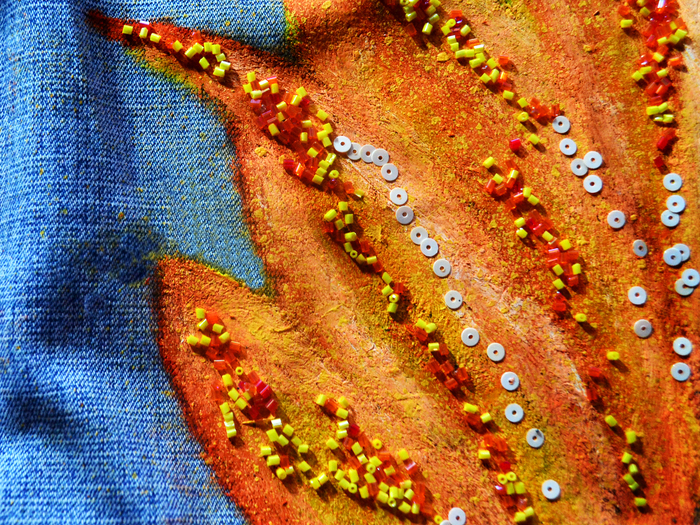 Apply beads, buttons or sequins. Fray the bottom of each pant leg. If you love original designs or are a punk rocker, then apply paint, studs, sequins and ribbons at the cuffs. 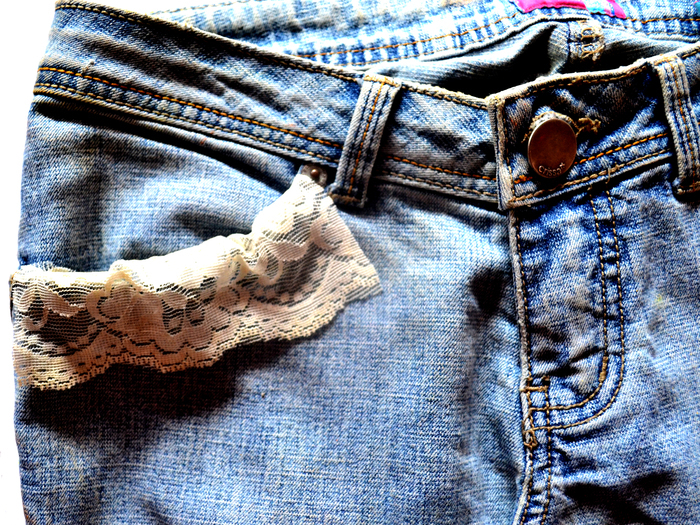 Rinse your jeans, within three minutes of applying bleach, to stop the bleaching process. 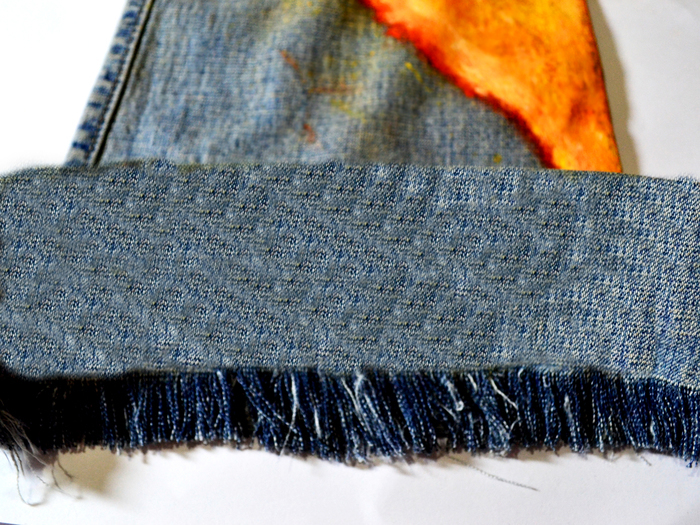 Turn your jeans into shorts, a skirt, or purse. Colors will gradually fade each time your pants are washed. Never mix bleach with ammonia or vinegar. These create a potentially lethal gas. Use caution with liquid bleach and other chemicals.